Apparently, Raphael Tuju had never worn underwear in his life until he joined the Starehe Boys’ Centre for his high school education. 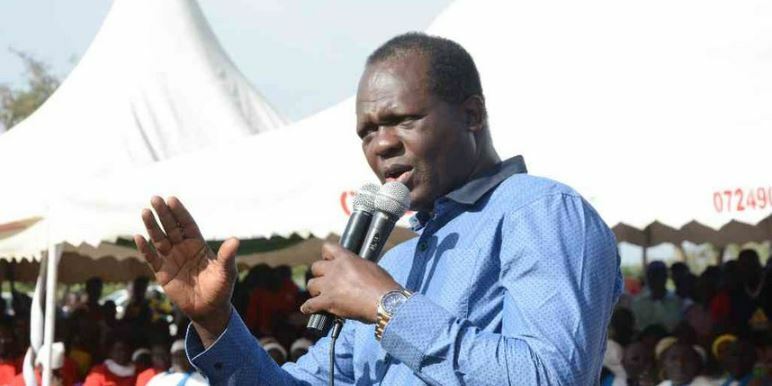 Speaking at an event to mark the school’s 60th year anniversary, Tuju disclosed that his first pair of underwear was courtesy of Starehe Boys’ founder Dr Geoffrey William Griffin. “I had never worn innerwears until I came to Starehe. I came here bare…I was a miserable poor little boy when I came here and my first innerwear was given to me by Dr Griffin,” Tuju told the amused students last Friday. “What are you clapping for? Are you clapping for innerwear or are you laughing at me?” he asked the boys as quoted by Nairobi News. Tuju, who went to Majiwa and Nakuru West Primary Schools before joining secondary school, reportedly disclosed that he walked from Nakuru to Starehe where he met Dr Griffin to ask him for a vacancy at the school. The Cabinet Secretary said he was turned away initially but was later re-considered for a scholarship at the school. “Griffins saw potential in us. All we needed was the opportunity and he gave us that,” added Tuju.